LARAMIE, Wyo. 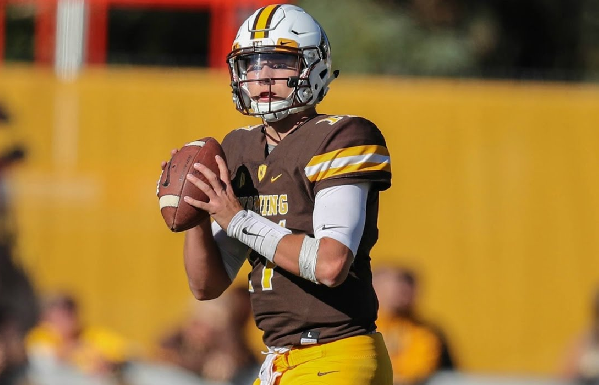 - Wyoming quarterback Josh Allen says his injured throwing shoulder is better than 90 percent recovered, but it's still too early to say whether he will be able to play in the Famous Idaho Potato Bowl on Dec. 22. Allen's name is mentioned by some as being among the top college quarterback prospects in next year's NFL draft. He sprained his right shoulder on Nov. 11 against Air Force and missed Wyoming's final two regular season games. Allen says he's been practicing with the No. 1 offense but he still feels pain while throwing. However, he says the injury itself is healed. Allen has said that if he's healthy enough he wants to play in the bowl game and not sit it out in order to protect himself from further injury before the NFL draft.